But when chatting with people in Finland, it’s usually necessary to make clear which place I’m talking about. I’ve been living in China for more than two years now so I can’t really talk about much if I would ban the word China altogether. I’m not sure if other people think like this, but my friend who lives in Malta has similar thoughts too. Unfortunately I have to break the news and tell you, my life is actually quite boring! Go to class, do homework, eat, sleep and watch Chinese TV dramas! I spend most of my free time at home, not exploring Guangzhou or bar hopping. I’m sure many expats have a far more interesting life in here than I do. I really do like my own boring life here, but it might not be that interesting to hear about it. Or is it? 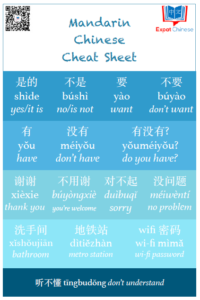 And finally I would like to introduce my new side project: How Can I Learn Chinese -blog! This new blog is about short introductions and reviews about Chinese learning resources, links, tips and apps. I hope you will find it helpful! I’ve already scheduled post per day for the following week. Yours is kind of like much of the reaction I get from others when they hear I live in Hong Kong. Because many of them have seen pictures of skyscrapers, luxury brand stores and whatnot (and the fact that my job is in financial printing), they think I have a wheeling and dealing, jetsetting lifestyle here. Of course I do (during my sleep hours) – and then I wake up. I work 80 hours a week (at least) and all I see in my little miserable life are the interiors of offices or printing factories. Whatever little free time I have, I spend it either in bed or in the bathroom … some jetsetting lifestyle. Great to hear that someone is interested in reading about studying :) I’m sure that I will continue writing about it as it’s a things I do full-time and so very big part of my life here. There are quite many small streets still left in Guangzhou. You just have to know where to look or just get lost :) There were also traditional Lingnan style residental building on the street too! Sulla on monta rautaa tulessa :)! Tuli bloggailusta mieleen ne ikävät nettikirjoittelut susta. Onko asia edennyt? Hienoa, että et anna sellaisen pysäyttää verkon valloittamistasi! Tänne kuuluu ihan hyvää, syksyllä gradua, mieti… hih. Hei! Valitettavasti poliisilla taitaa olla vinopino vastaavia tapauksia, joten en tieda kauanko kestaa, etta paasevat omani kohdalle. Omasta mielestani tapaus on jo onneksi ehtinyt haihtua, enka ole edes enaa kaynyt kyseisella foorumilla. Taitaa olla parasta pysya poissa. Huh, siella alkaa jo pian gradun kirjoittaminen :) Itsella menee viela ensi vuoteen ennen kuin alan kandia tehda, mutta olisi ihan hyva jo alkaa aihetta pohtia. Joo, teen kanditutkielmaa ja syksyllä alkaa gradusemma. Se ja 20 op niin tutkinto on siinä! Aloitan pian oman alan työpätkän, jonka lisäsin Facebookiin. Huomasin, että pienistäkin aihepohdintomuistiinpanoista oli kandissa suurta etua! Omia ideoita ei kannata vähätellä ja ehdottomasti kirjoita ne muistiin. Huomasinkin jo Facebookista tuon tyoasian, tosi hieno juttu! Ja kiitos vinkista, pitaakin hieman kirjoitella ylos mieleen tulevia aiheideoita ja muita, niin sitten kun kandin todella aloittaa, niin olisi jo jotain ajatuksia miten aloittaa. I love that picture of the back alley! 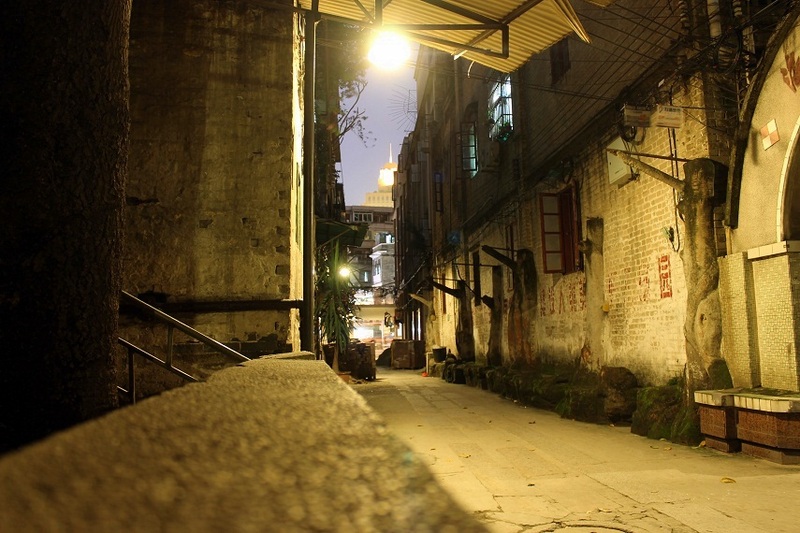 Luckily there are still that kind of alleys left in Guangzhou. The third post I’m commenting on–I’m on a roll, and yes, your blog is really THAT interesting! –Amen to that! I’ve seen other scholarship students drop off from their courses because of their un-boring lifestyles. This is an old post, but I have to say my life is still like that! I work with a few projects, teach, spend time at home, see friends and thats it. I do hope to do more local traveling though!